In general, everything in the cosmos is moving apart, but there are some exceptions to this. The nearest galaxy to our own, Andromeda, is barreling towards us, which means that in 4 billion years or so, it’ll merge with the Milky Way. If we want to see examples of galaxy collisions, though, we only need look to the deep dark shadows above us. The dance of these stellar museums are violent and sometimes highly destructive; other times, they look more like a ballet than a mosh pit. If a larger galaxy meets a smaller one, it devours it and destroys its junior partner – something our own Milky Way has accomplished at least eleven times. An image recently released by NASA and the European Space Agency (ESA) illustrates one such galaxy merger event, but arguably a more peaceful one. 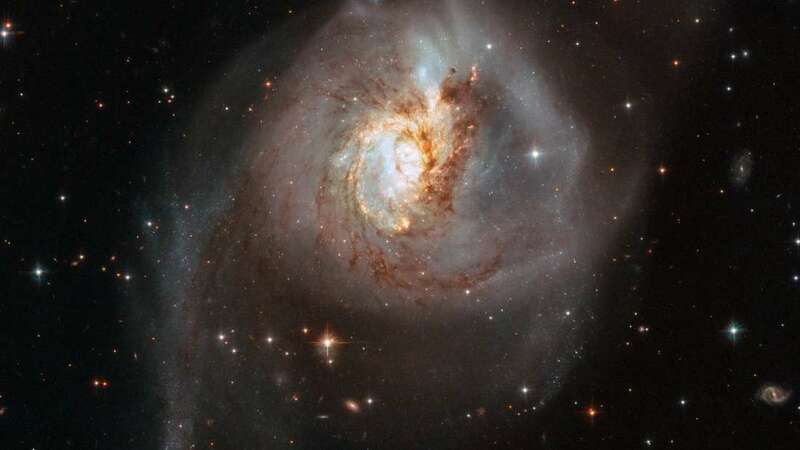 Pictured here in NGC 3256 is a distorted galactic soup that resulted from the clash of two separate ones that started colliding around 500 million years ago, around the time complex life on Earth was just starting to flourish. As explained by the press release accompanying this breathtaking shot by the Hubble Space Telescope, the aftermath of this galactic bloodbath can be located 100 million light-years away, in the constellation of Vela. 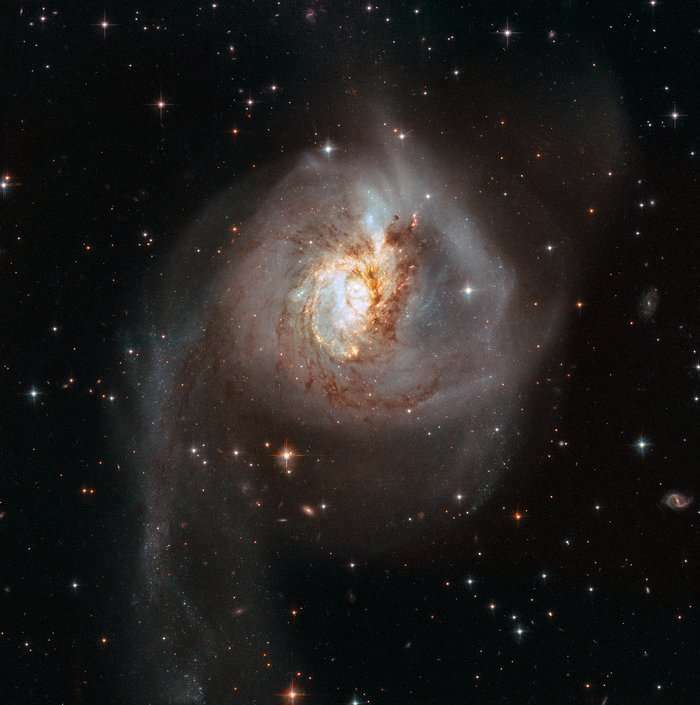 As the galaxies involved were originally of a similar size, they had an equal influence on each other, which resulted in a somewhat calm merger rather than a winner-takes-all event. See those tails? They’re packed with young stars, formed during the collision of some raw material perfect for forming new thermonuclear furnaces, particularly all that hydrogen. In fact, as it turns out, in much the same way that asteroid belts in movies are damned lies, the spaces between stars are probably far, far greater than you think. After all, the nearest star system to the Sun is still around 4 light-years away. Their orbits may be severely perturbed if they get close enough, but these intergalactic candles are still likely to remain segregated. Indeed, it’s the gas and dust that tends to mix together and transform into new stars and worlds, which is what can be seen here. In fact, NGC 3256 is referred to as a “starburst galaxy”, in that it’s exhibiting a far-above-average rate of star formation. This has resulted in a stellar fireworks show most luminous in the infrared. Thanks to its face-on orientation, it’s giving astronomers a perfect opportunity to study how starbursts are borne from such mergers. The collision, rather excitingly, is still taking place from our point of view. In a few hundred million years’ time, their cores will merge fully, and it’ll become one single, huge elliptical galaxy. Sadly, of course, we won’t be around to see it happen.